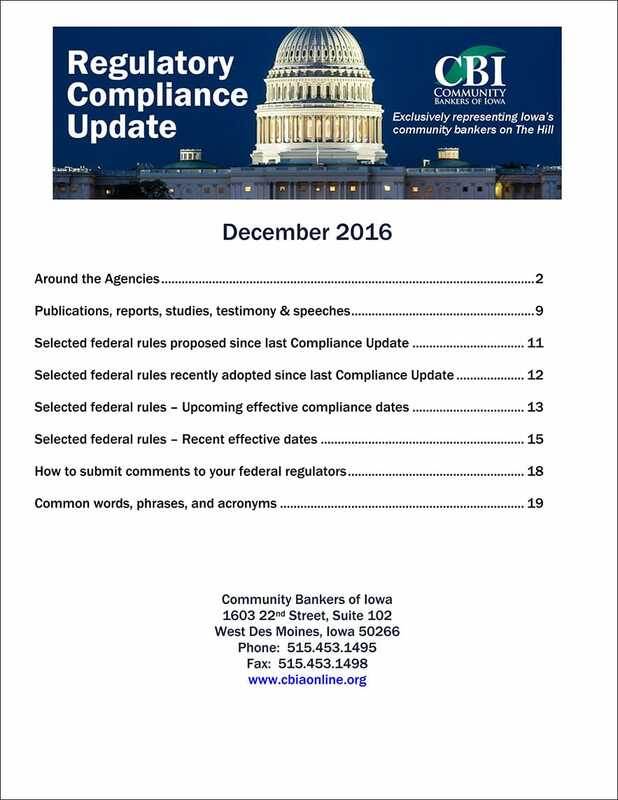 ​newsletter provides regulatory and compliance news, publications and reports, selected upcoming federal compliance dates, information on how to submit comments to federal regulators, and more. It is a monthly journal with detailed summaries, a community banking legal perspective on issues and direct links to action items. 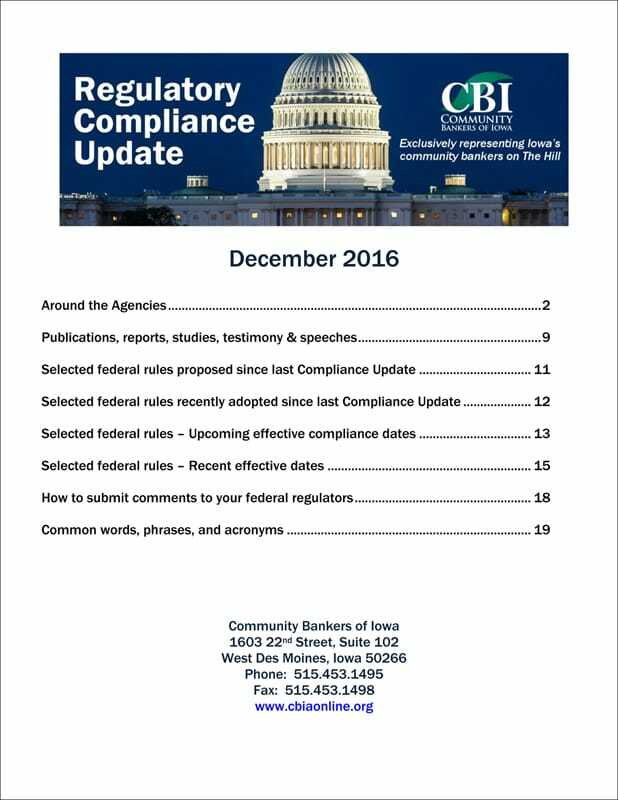 Regulatory Compliance Update is published exclusively for CBI Members. ​If you would like to subscribe, email klee@cbiaonline.org. SELECTED FINAL FEDERAL RULES: Click here for a list of final federal rules from October 2009 to Present.